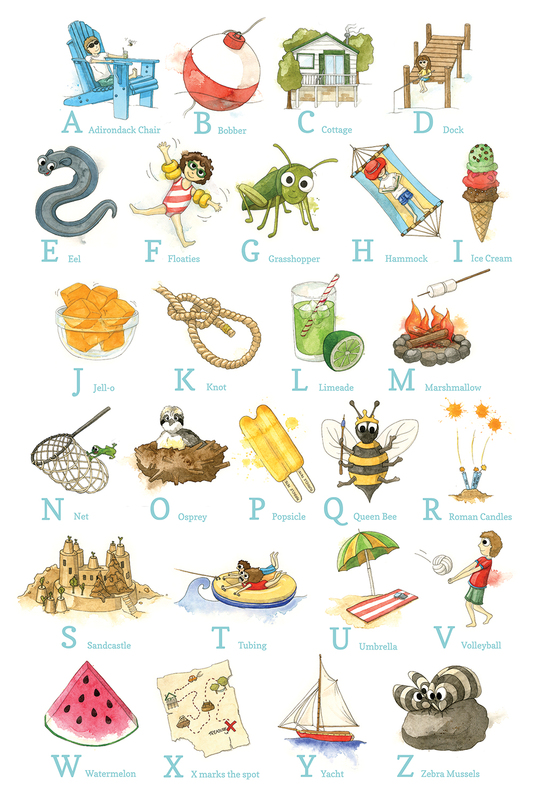 Here is the completed cottage themed alphabet poster! My favourites are the osprey and the zebra mussels, and the sandcastle that looks EXACTLY like the ones my mom builds. Her sand castles always have a big central base, and some stairs, and some "witch castles" (the drippy sand blobs). Now that the holidays are over and the new year is hopping along, I am struggling a bit to stay focused on painting. This time of year, when it's so cold and gross outside, I just want to curl up with Finn and the cats and read and have naps. It's hard to resist a good nap.